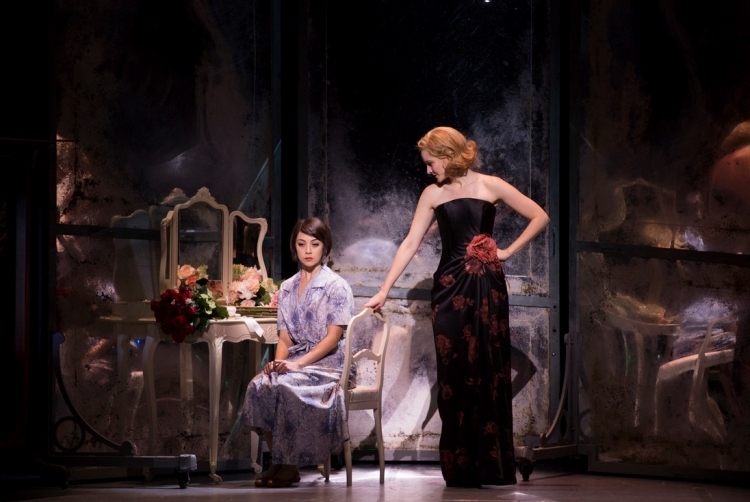 A truly thrilling new work of high class and polish, An American in Paris is the rare new musical aimed mostly at a discerning adult audience. While the use of the term “a new musical” in relation to a collection of Gershwin standards is wearing little thin, when the music is this infectious no one is really complaining. “I Got Rhythm,” “’S Wonderful,” and They Can’t Take That Away From Me” have been heard in other recent musicals, but when the score is adapted and arranged by Rob Fisher you know you are in very safe hands, and the orchestra of 19 sounds wonderful. The production achieves an integration of artistic and creative elements that is thoroughly realised. Having a single director/choreographer allows for a seamless vision in which dance flows organically in and out of scenes. The show is largely told through dance and is also about dance. 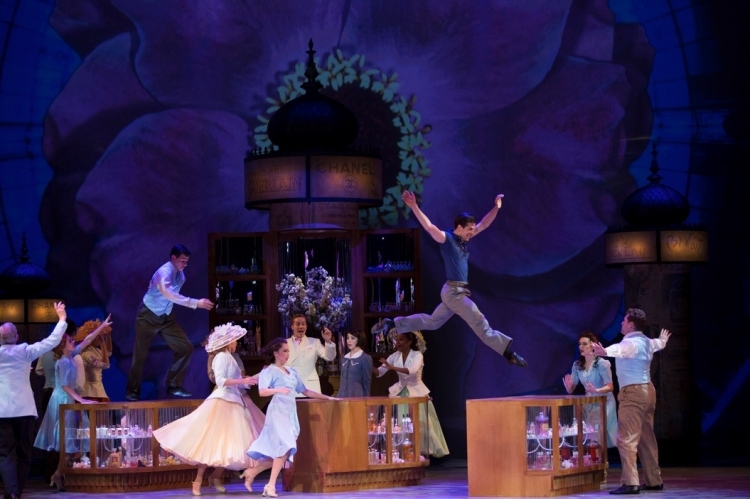 Christopher Wheeldon choreographs not only the incredible cast but also the scenery, props and costume changes. Scenery dances into place so naturally that each new scene is not evident until a final lighting cue, from Natasha Katz, completes the picture. 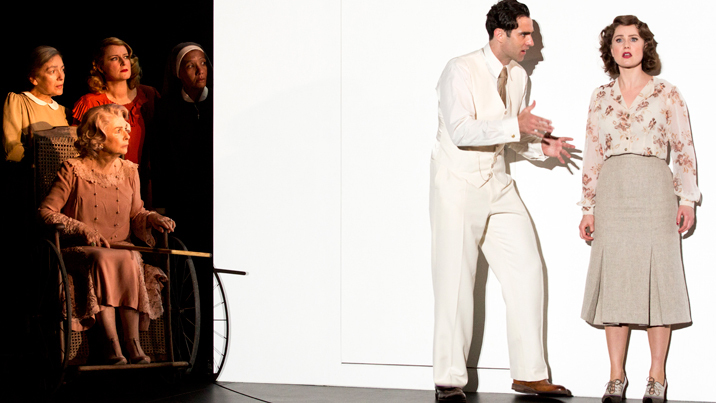 As the show progresses, the methods of storytelling blend to the point that it does not matter whether the plot is being advanced by text, lyrics or dance. The audience is completely absorbed in the world on stage and is completely cognisant of the dance vocabulary in use. Prolific designer Bob Crowley aids the cinematic flow, which, when combined with projections by 59 Productions, creates fluid visuals that are even more beautiful to watch than a movie. A scenic highlight is the recreation of the grand interior of Galeries Lafayette. The multitude of Crowley’s costumes is not only eye-popping but also creates a fascinating, rich cross section of society. A grey prologue signals the end of Nazi occupation of Paris, and the city slowly blooms back into colour. Observing the kindness of selfless young Lise Dassin, Jerry Mulligan rips up his train ticket and stays, as does his injured, sweetly nerdy friend Adam Hochberg. Jerry is a designer and Adam is a composer, so they find a way in the to Lise’s ballet, which is sponsored by woman-of-means Milo Davenport. Fey Mama’s boy Henri Baurel covets Lise, and Milo courts Jerry. While the story could be boiled down to a “love quadrangle,” Craig Lucas’ book gives the characters have a richness beyond the superficial. Henri seems insipid but fought bravely in the resistance during the war. Adam is a clown but harbours unrequited love. Jerry is ostensibly the good guy, but deliberately exposes Henri’s singing career and knocks over crippled friend Adam. A happy ending seems inevitable, but the path is an intriguing and involving one. 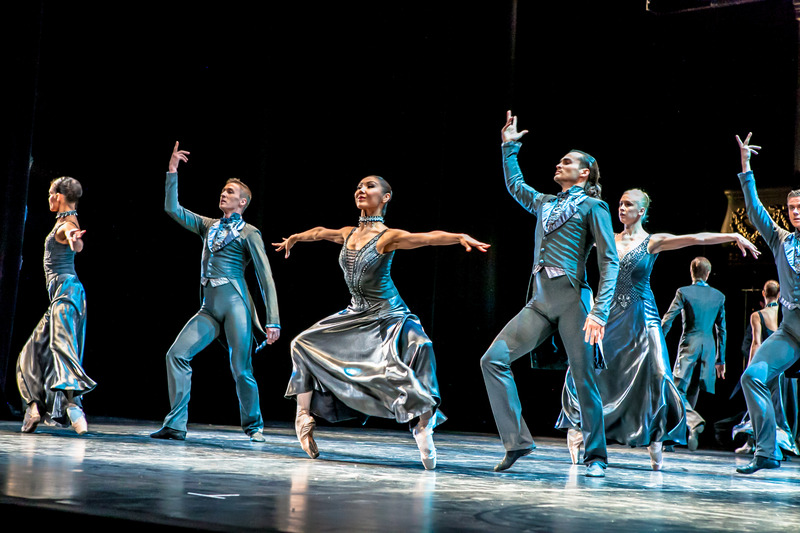 Wheeldon casts the story aside momentarily in act two for a fabulous showstopper to “I’ll Build A Stairway To Paradise,” as Henri imagines his song and dance routine in New York. 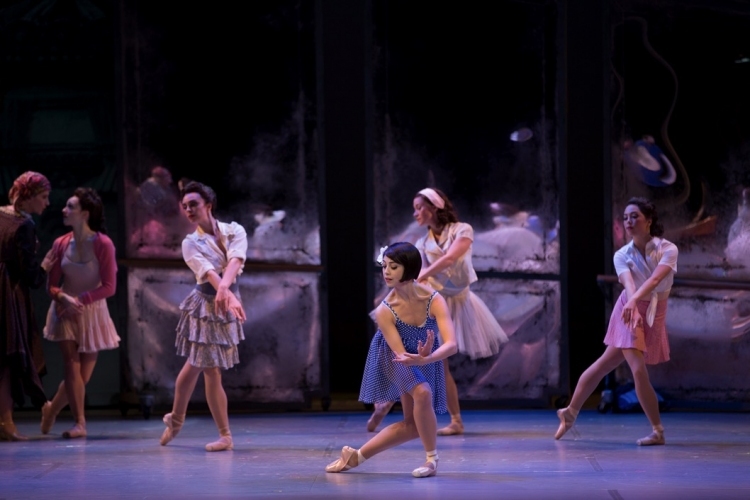 Wheeldon also pokes fun at his primary genre with a mock-classical performance piece about Uranus. The term triple threats is often bandied about, but these performers are the real deal. While dance is their chief strength, they are charming, natural singers. The real appeal, however, lies in the natural integration of their talents. Particularly when they dance, they are always acting. Handsome dancer/singer Robert Fairchild is dream casting as leading man as Jerry. 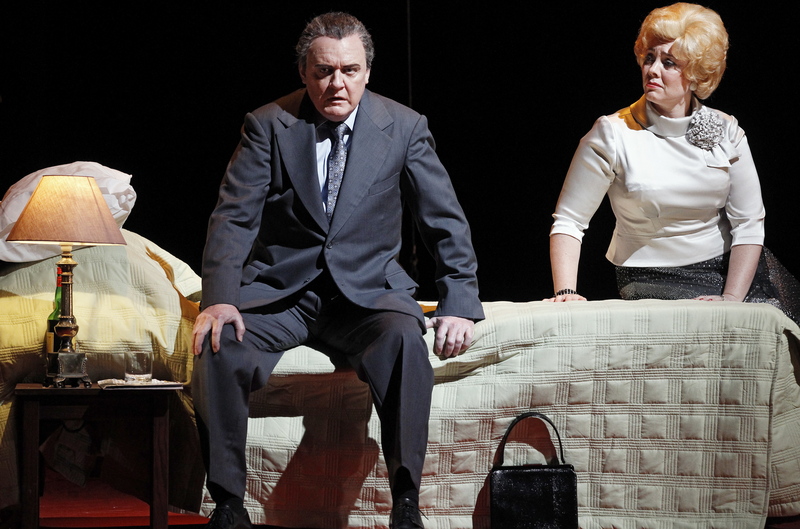 Charismatic Leanne Cope underpins Lise’s vulnerability with a core of iron. Brandon Uranowitz is a goofy delight as Adam. Max von Essen is all class as Henri. Jill Paice is a little young to play society matron Milo, but she channels Cate Blanchett to create a sensual characterisation and she looks a million dollars. Veanne Cox and Scott Willis give sterling support as Henri’s blue blood parents. 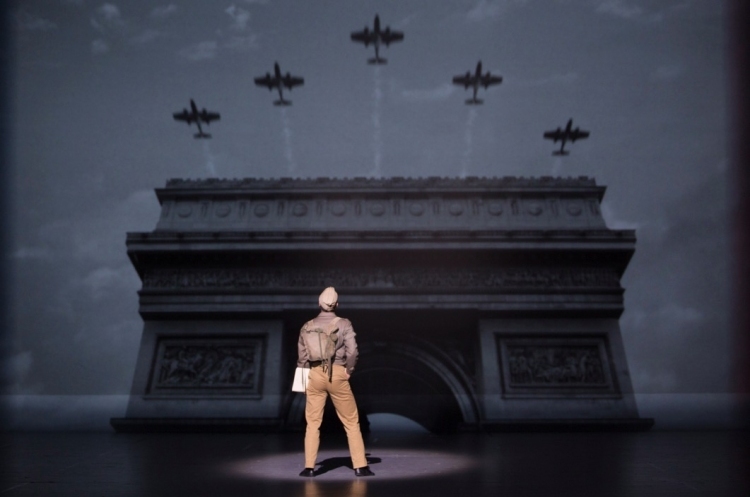 Along with On The Town, the presence of An American in Paris makes for an exciting season for fans of pure music theatre dance. 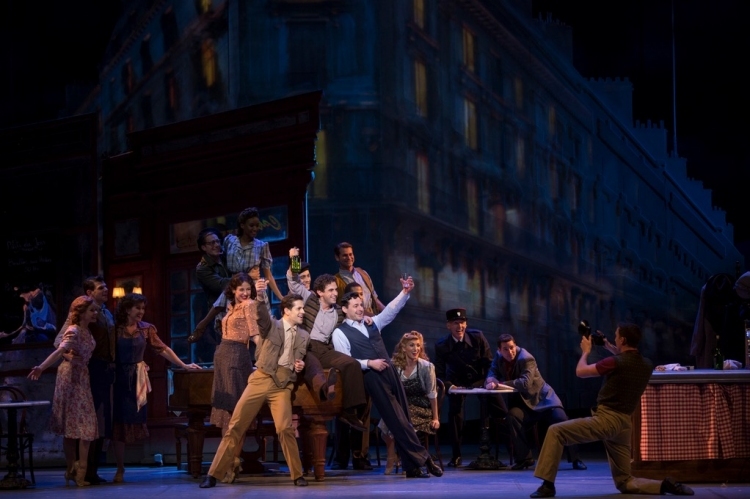 An American in Paris was reviewed at 8pm Wednesday 1 April 2015 at Palace Theatre, New York. Official opening night is 12 April 2015.